Growing up, take away wasn't a thing in my house. I had my first take away when I went to university, probably some less than appetising Chinese. To be completely honest I don't really like takeaways, I mean every so often I do want to devour a big fat Domino's, but when someone says takeaway my mind usually conjurers fatty, Indian sauces and soggy spring rolls. However, with last year being the year of health, there are a few new kids on the "takeaway" block. 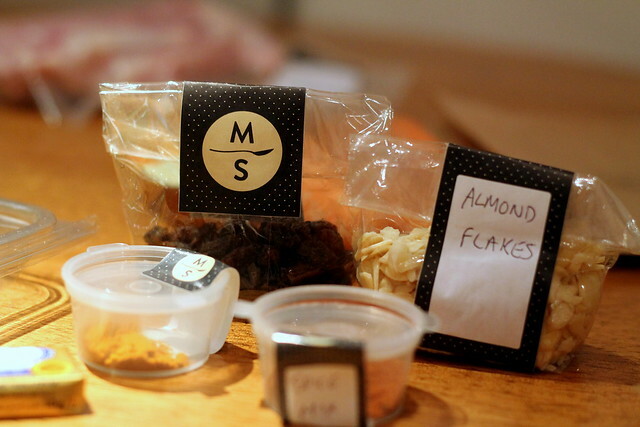 These are the alternative food delivery services that will be your lazy go to, with out the guilt. 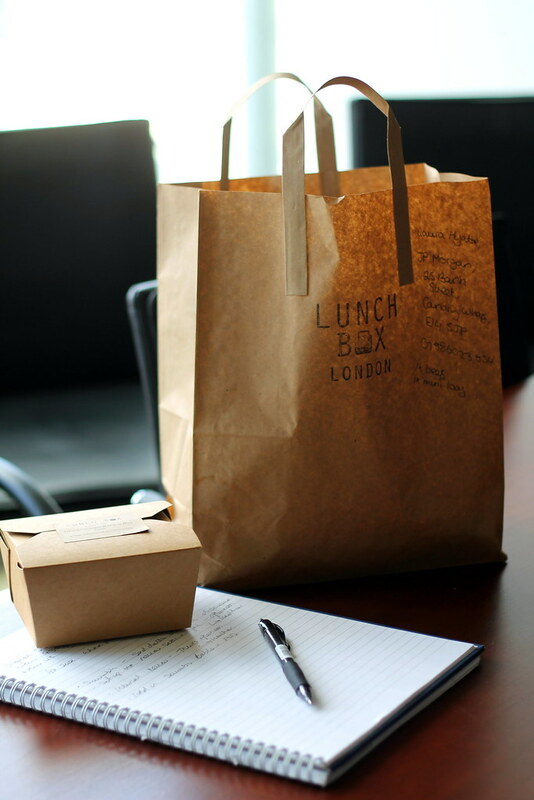 Lunch Box London are your new lunch best friend. I'll be completely honest, I buy my lunch every day at work. I like going to the shops, for the walk, oh I'm not really sure why, as I always just get a boring packaged sandwich. 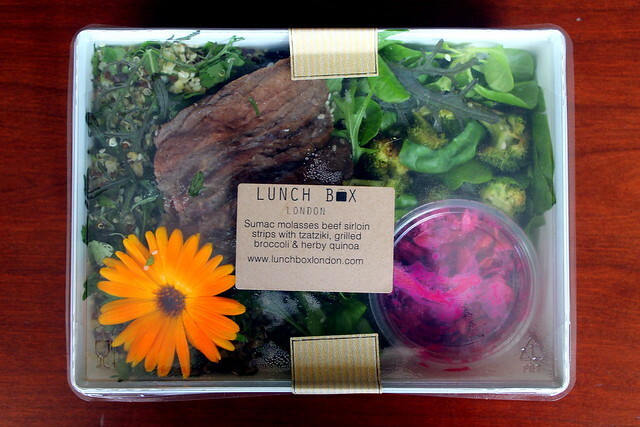 Yet there is something that will revolutionise the cross over between home made and bought lunches. 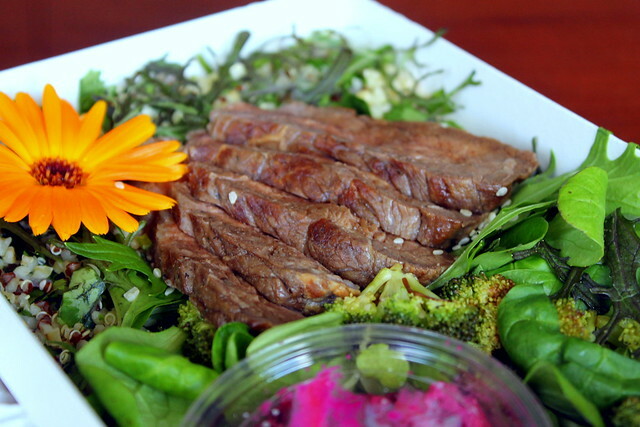 Fresh, healthy and only wholesome ingredients, every day there is a new choice of 2 dishes which changes every single week. Plus they even have their own nutritionist make balanced lunches with a protein source, fresh vegetables and a portion of whole grains. But the best part, they delivery it to your desk (or reception in the case of my stingy office) at lunch time from their eco-friendly push bike. I went for the delicious sounding Surmac molasses beef sirloin strips, with tzatziki, grilled broccoli and herby quinoa. It was utterly delicious, so flavoursome and much better than anything I could have bought down at Pret. But then I think you'll agree from these pictures. Just look how beautiful it looks too. 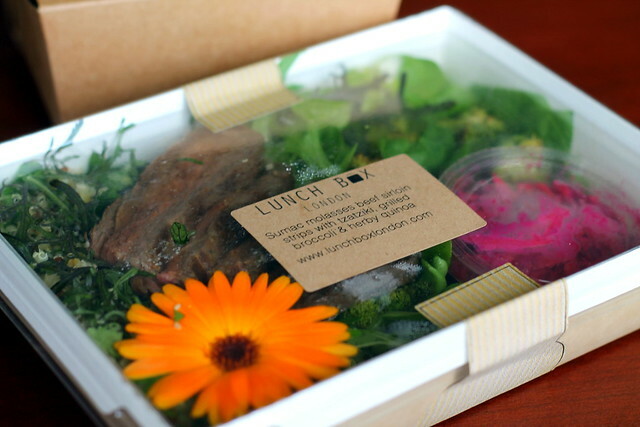 It's one lunch box to certainly perk up your day, even if you lunch view is just skyscrapers from your desk. 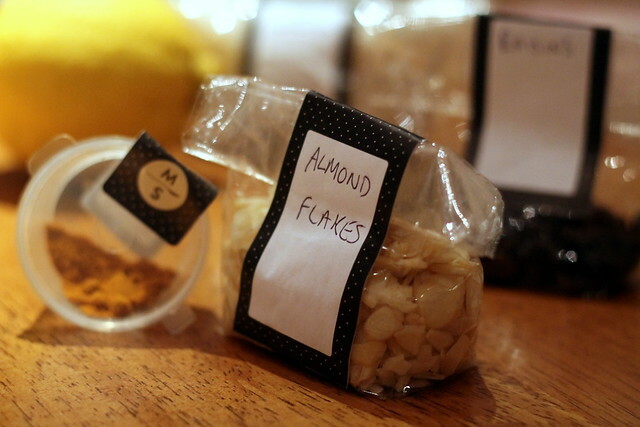 Oh and did I mention they do little sweet treats too for an afternoon treat? 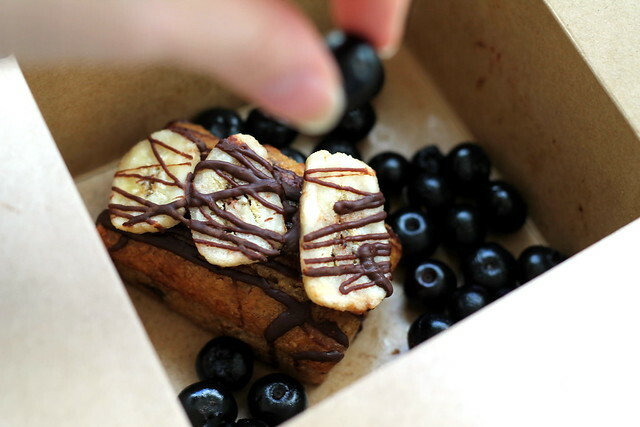 The cutest banana and chocolate loaves were right there at my desk, when that 4pm lull hit. 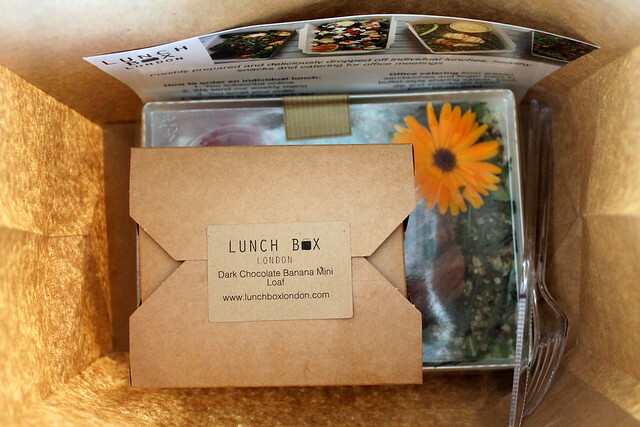 They delivery all over London, so next time you fancy something home made for lunch but just can't be bothered to cook something, I'd pop onto Lunch Box London's website. Ah dinner time, you either love it or hate it. 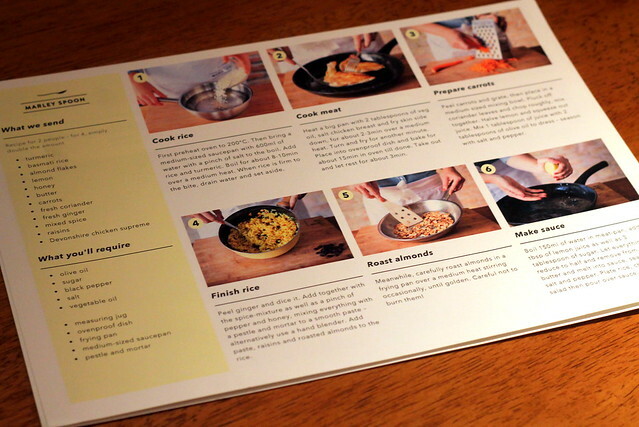 The dilemma of first deciding what to cook, and then having to go out and source the ingredients, oh and then actually cook it. Effort. Whilst I might not be able to solve the cooking part without giving you the number to Domino's, I can take all the leg work out... OK not me exactly, but Marley Spoon can. 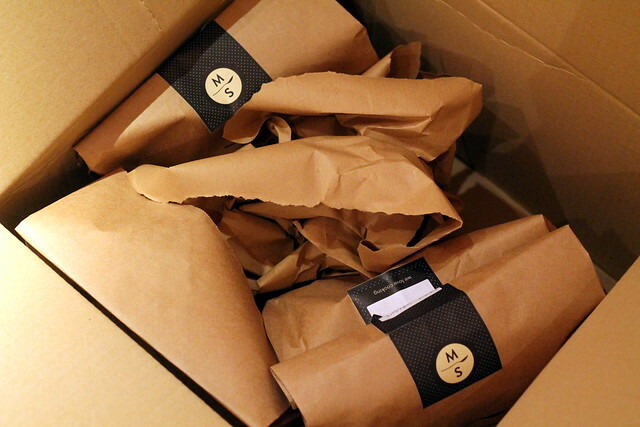 Packaged inside is all your ingredients, all measured out, and weighed for you. 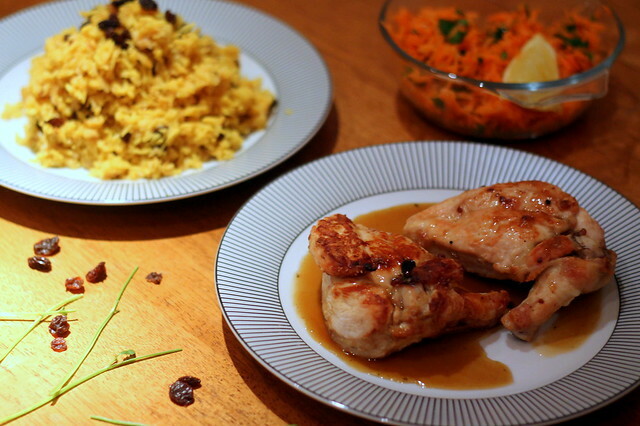 Slightly more work than your local Chinese, but with a recipe this simple looking, it really isn't rocket science. 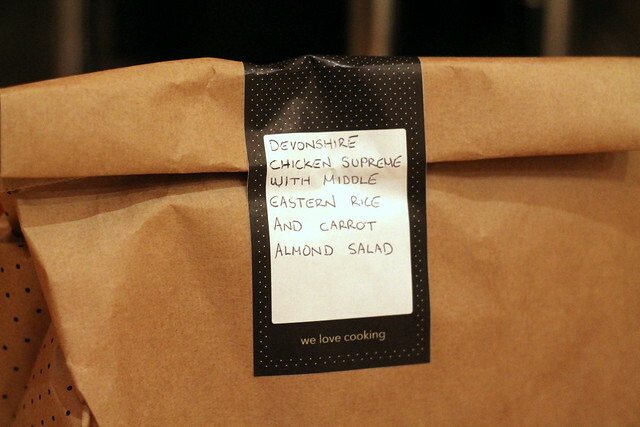 I ordered Devonshire Chicken Supreme with Middle Eastern Rice and a Carrot and Almond Salad. 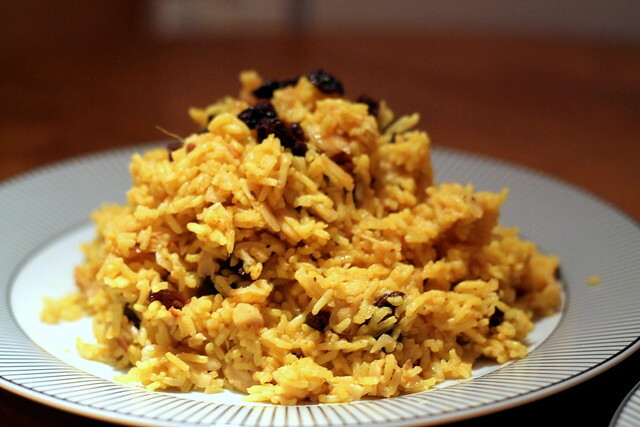 A home cooked dish my mother would be proud of. 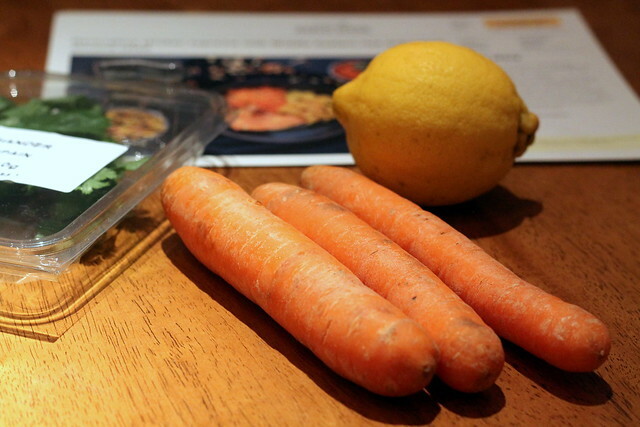 So when I said fresh ingredients, I really meant it. 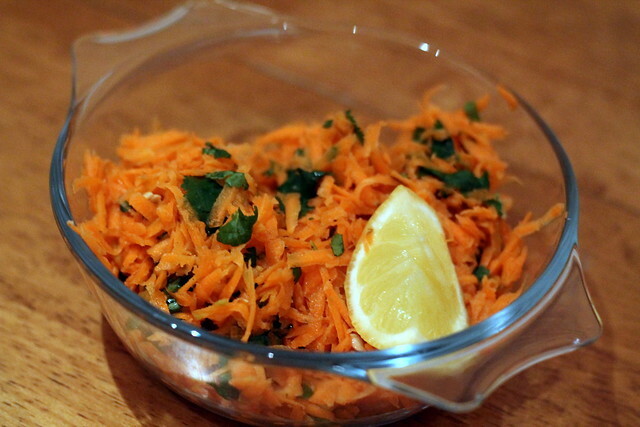 Carrots, lemons, and 10g of coriander, already weighed for me so no waste. 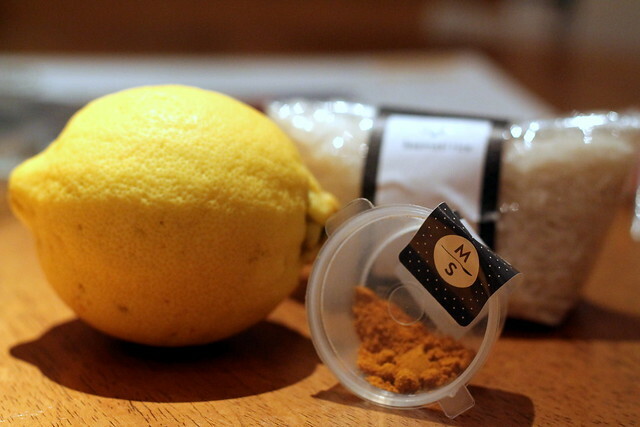 Even the spices are perfectly measured. 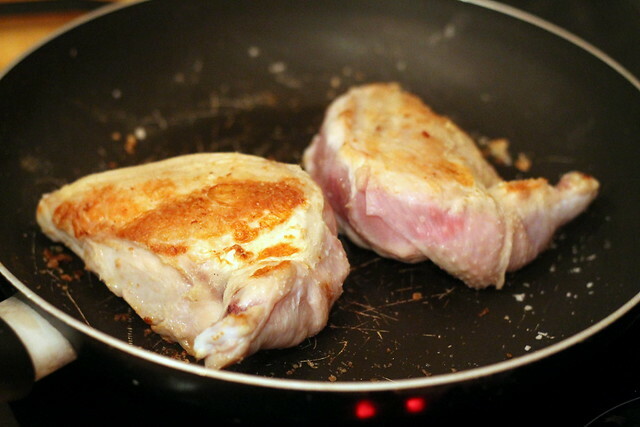 Just follow the plan, popping the ingredients in the pan and watch as your master chef worthy dinner cooks before you. Ta dah! Is that the best looking "Takeaway" you've seen? You can't get a fresher delivery than straight out of the pan. 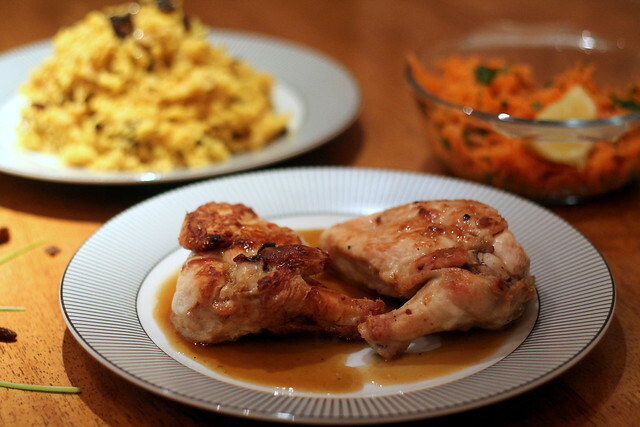 The chicken dish really was delicious, and even the boyfriend gave it s big thumbs up, which when it comes to my cooking is high praise indeed. 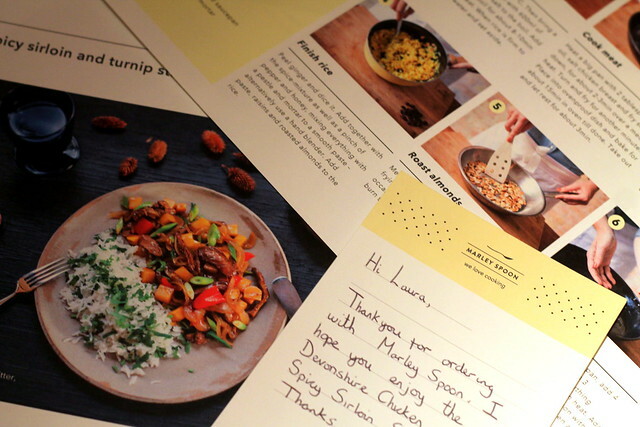 If you hate having to decide what to cook and having to go get it, then use the time you would have been searching though another Gordon cook book to log onto Marley Spoon. Seriously guys, we can't eat out all the time, but I realise it can be hectic to put together lunch and dinner, so give yourselves a break once in a while, and get a "Takeaway". My family aren't big takeaway people, aside from the local chippy I didn't have inidian or chinese takeaways until I started ordering with friends etc. 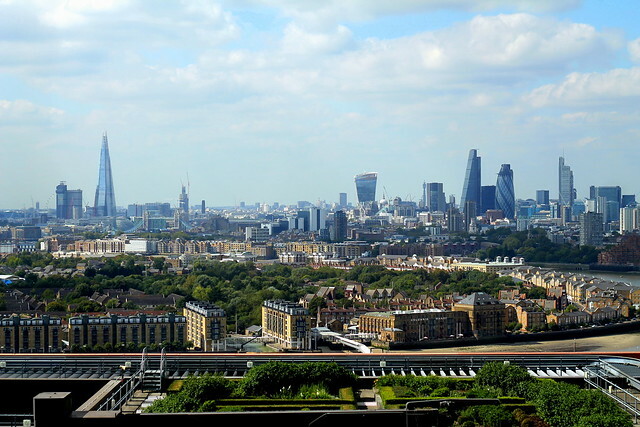 I love the sound of lunchbox london although I'm very lucky that I get a lunch allowance to use in our companies resturant and they do a variety of meals to suit all. 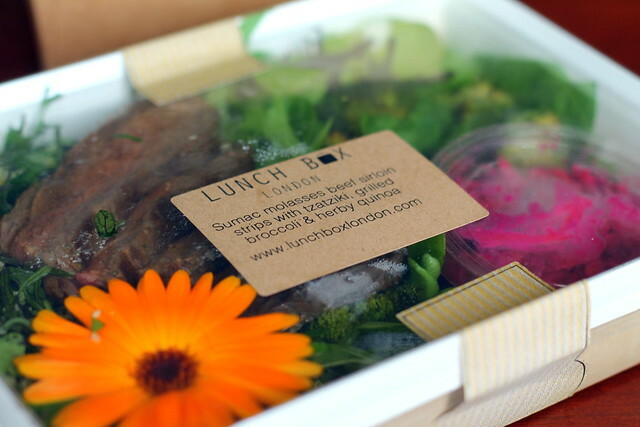 Lunchbox London sounds really intriguing, though it seems like they're closed till Feb now! I'll try and remember to have another look next month. 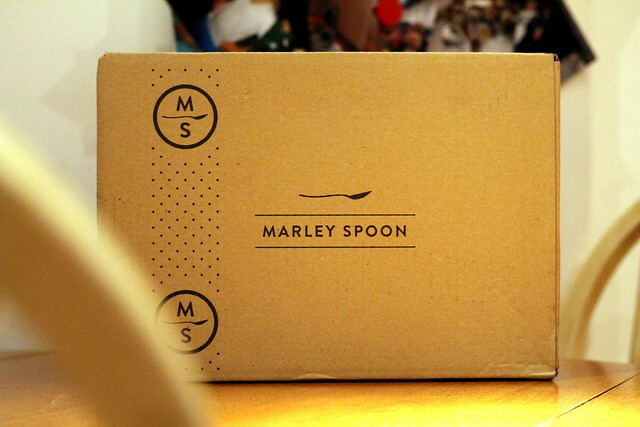 I had a look at Marley Spoon the other day - it looks great but not really my thing as I love to cook from scratch and plan recipes etc! This looks soooo delicious!! And perfect for those struggling with their health kick as we reach the end of jan!! Also the chocolate loaf looks unreal!!! I love this post - such a useful and time-saving idea. I'm normally quite good and make my salads in the morning - or get Ben to hehe! These both look like such tasty options though if you're pushed for time! These look so delicious! I must give one of these services a try when I am next back in the UK! 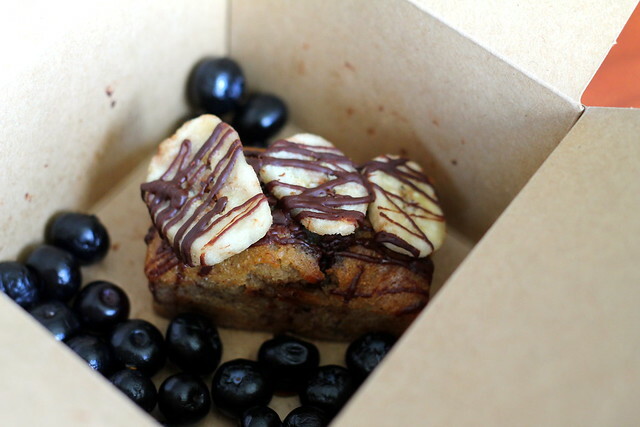 That banana and chocolate loaf looks SO good! I'm a sucker for sweet treats!